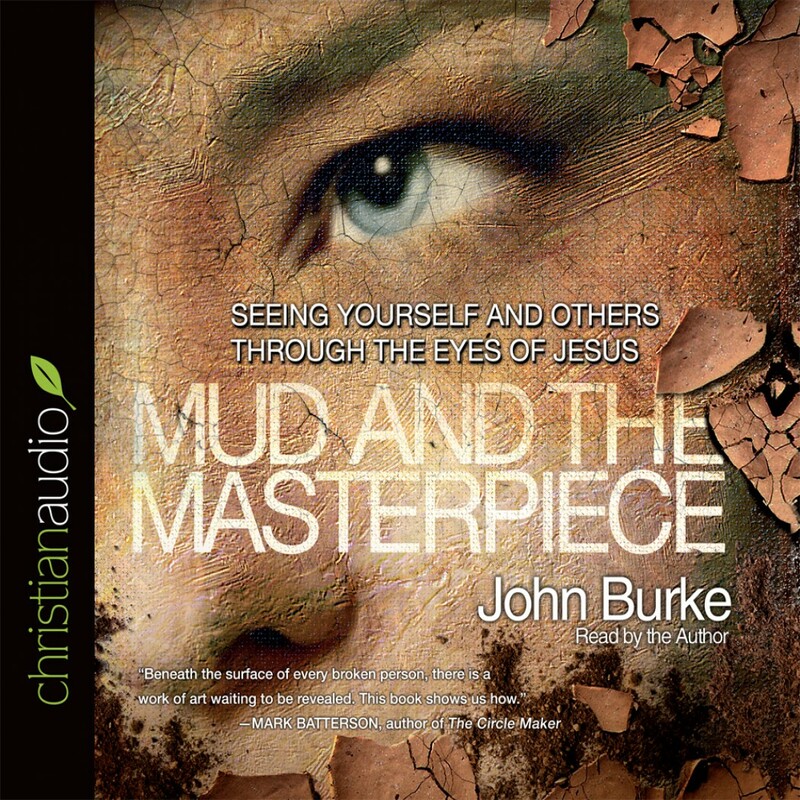 The Mud and the Masterpiece by John Burke Audiobook Download - Christian audiobooks. Try us free. Mud and the Masterpiece by John Burke, recently re-released under the title Unshockable Love, is an important book. Somewhat lost in the mass of books written by celebrity pastors of influential churches to address the various shortcomings of American Christianity, Mud and the Masterpiece aims to re-teach us how to love like Jesus. Burke’s primary method in Part 1 of the book is telling stories. He highlights stories from the gospels in which Jesus recognizes the humanity of a sinner and loves them despite the “mud” of their sin. He also gives examples of similar encounters in his own church, which is composed mainly of new converts to Christianity. I have read a few critics of Burke that claim he is “soft on sin.” I didn’t get that impression at all from his writing. In trying to imitate Jesus’ example, Burke acknowledges people’s sin, offering no rationale for it, but strives to point the reader to the inherent nobility and dignity in each person. Granted for some people it will be hard work to see past the mud to the masterpiece, but Burke is persistent and encouraging. Always positive, he displays an earthy compassion through his writing that is staggering. Stand-out chapters for me were “Unshockable,” “Calling Out the Masterpiece,” and “Respecting Freedom.” These chapters stand out because I disagreed with many things in them at first, only to be won over by Burke’s insistent focus on grace and love. I am so glad Burke himself narrated the audiobook version. His tone and humor really come through in a way that couldn’t be approached by a different narrator. Burke even stumbles over his words sometimes, making this book feel more like a conversation with a man whose passion and compassion are infectious. It’s impossible to not like Burke. I recommend this book to any and all church leaders who want to have churches that better reflect the heart of Christ when it comes to loving hard-to-love people. I also recommend it to those who aren’t in vocational ministry but are thinking about starting a movement in their neighborhood or town, as this book offers a compelling blueprint for that. Please Note: This audiobook was gifted as a part of the Christianaudio Reviewers Program in exchange for my unbiased review of this work. This has in no way influenced my opinion or review of this work. The Mud and the Masterpiece by John Burke is an amazing book on seeing the masterpiece under all the mud that sin and things of this world places on people's lives. It is filled with stories of people far from God who were draw towards Him by Christians who could see the masterpiece beneath the mud and proceeded to love them despite their problems. I think the message of this book is very important for today's church because the world is getting more and more sinful, so the people that come into the church are going to be covered in mud and the church needs to give these people room to investigate for themselves who God is and what His plan is for their life. Personally I found this book encouraging but very challenging because it challenges the normal Christian culture of getting them saved and then they miraculously give up all their old ways and become saints. This does happen a bit but more likely people will take time to come to Christ and possibly even longer to kick their own sinful ways and we as Christians need to be helpful rather than judgmental during this process. The narrator was the author of the book, he was quite easy to listen to and gave the text the added emotion and tone that he intended. This book would be great for any Christian who wants to see their friends and family come to God no matter how much mud they have on their masterpiece. This is a really good book that I find hard to know how to review. There is so much ground/mud covered. It’s just a good, solid read for anyone who wants to grow in their walk with Jesus. You’ll learn about Jesus, you’ll learn practical advice on how to live the Christian life. It’s a very thorough book. You’ll be challenged. You’ll be encouraged. You might be made uncomfortable. You will be shown grace. You’ll be pointed to Jesus. The audio version is rare (to me) in the fact that it isn’t nearly flawless like most audiobooks I’ve heard. Not all of the reading hickups are edited out. But that’s perfectly ok to me. It’s not nearly enough to be distracting. I probably noticed less than a dozen mistakes. It is the author reading it, so I appreciate hearing his voice, with his emphasis. It’s a human touch. So, great job on the narration! I recommend this book, especially for those who like to ready but don’t read much. This book covers so much I think it’ll be well worth your time.